Yesterday, while giving my car a bath, a very small bird came to watch. Soon after, another. They looked like babies, and after a while I realized they were probably either just learning how to fly, or practicing. Their mom was probably not too far away, and I found myself thinking a lot about my own two “birds,” because as parents, one of our biggest tasks is to teach our birds how to fly and I believe, one of our greatest gifts, is watching them do so. The more we watch animals in nature, the more we see that we really all have the same basic needs and wants. Food, companionship, a safe place to rest, a little attention and offspring that learn to fly. Wishing our youngest bird, KyleZipp, the one that made our little nest complete, a very, very happy 29th. Wishing everyone a day filled with all the best that Mother Nature has to offer. Thinking about these one month challenges and imagining a challenge that involves just giving thought to what animals and animal by-products are involved in the ingredients in each of our meals. They say that awareness is everything and awareness is definitely always the first step before change occurs. Most all of us can agree that hurting animals pains us–most of us would say it pains us deeply. With that said, I am not suggesting this challenge is going to make us feel super comfortable, but it is, after all, a challenge! If we do nothing else but just give awareness at each meal, maybe the next step would naturally be to start tweaking some choices. An example of a very simple swap would be using mustard, ketchup, a non-dairy/non-egg mayo (like Just Mayo) or even avocado, instead of traditional mayo, as a condiment. Some really simple swaps, require nothing but reading ingredients. Plenty of breads have eggs, cheese and other animal by-products in them, plenty are void of all of those. Bagels are a great example (unless they are egg bagels). Choosing a breakfast of oatmeal, peanut butter, bananas, strawberries, raisins, and cinnamon (zero animals hurt in that breakfast) over eggs, bacon, buttered toast and coffee with milk (all containing animals) is a choice that would not only better the lives of animals and the condition of our planet, but bonus round—you will be all that much healthier (and lighter in body and soul) too. But really, for today, this Vegan (Feast) Thursday, I am just imagining us all simply being aware. 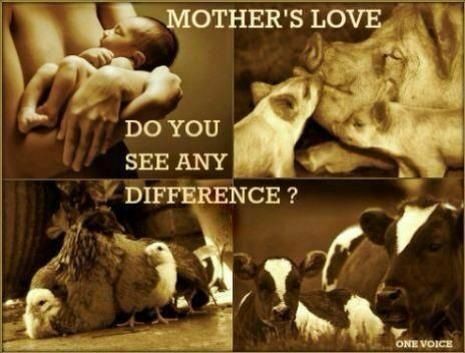 If you really love animals, remember that love always requires sacrifice! If you have any great food swaps, let us know! Peace…..
ALL Lives Matter. It’s bigger than US, people! All lives matter. Your life matters. What you eat matters. Animal lives matter. It seems the surest way to take care of your own life, the lives of the animals and the life of our planet, as well, is to eat more cancer preventing, heart healthy, life supporting foods like fruits, veggies, nuts, seeds (and so much more). My hope today, on this Vegan (Feast) Thursday, is that you will at least consider a plant-based meal or two. Hey, it doesn’t have to be tofu with a side of lettuce… I don’t know a one of us who has been tortured by eating a good PB&J sandwich! Think outside the box, because there are way more non-animal foods outside of that box, than in it…………….. I will be subbing at 10 this morning and tomorrow morning. Regular 11:30 tomorrow as well. Gym is closed on Monday. Because we all have our daily needs…fitness, fresh air….and most of all love and caring…..
Lions and Tigers and Cows, Oh My! This being Vegan (Feast) Thursday, it seemed appropriate to address the issue of Cecil the lion. NEVER wanting to be one to offend, I tend to stay pretty quiet about my choice to thrive on a plant-based diet and refrain from purchasing animal products. After all, the more time spent in meditation, the more clear I feel about NOT being a judge and jury of anyone else. It would be a lie to say, though, that it is not frustrating to read and hear and see all the outrage over the killing of this most magnificent king of the jungle. For most of us, it is beyond our comprehension to kill a lion. Same goes for a cat, or a dog. All day long we post pictures of animals and converse about how much we love them. No. I am not the judge, but who of any of us is? Who decides which animals are pets, which are for farms, which are for zoos, which are for hunting, which are for hanging on a wall, which are for food, which are for shoes and purses and furniture? Many will point out to me that is all about culture. In some cultures it’s ok to eat cows, while in others, it’s about the worst thing you can do! Certainly as Americans we frown upon anyone that would eat dog meat, or horse meat, but when you step aside from “culture” what really IS the difference???? So my deepest apologies you find anything offensive about this post. So many things that end up on the internet are offensive and often hurtful, when that is probably never the intention of the person posting. Many discussion have been had about all the emotions involved with this thing we call Facebook. Many studies have been done by researchers (some by Facebook manipulating our feed!) and one thing that has been found is that the emotion most associated with reading Facebook is ENVY. (The more vacation pics and pics of things people have acquired, the less worthy others feel. These photos, however, are just a snapshot in time. We often have NO idea what else is going on in these people’s lives. No one ever posts when they are getting calls from collection agencies or their kids just got in trouble, etc.) Another study revealed that the more positive posts we see, the more we are likely to post positive things as well. The opposite also held true. Being human, I admit to have had my fair share of walking away from Facebook, frustrated, annoyed or hurt. Recently, I have made the connection and have decided less time on Facebook is a good thing for me. That’s just me. My blog will continue to get posted to Facebook and I strongly encourage you to hide my posts or scroll past them quickly if you find them offensive. My aim is ALWAYS more peaceandfitness! Please consider your food choices, today and every day. What is good for the animals, is also what is best for our health and the planet. Please also feel free to leave any comments on either of these 2 topics. Let’s get people talking and hopefully moving towards a more peaceful planet. Yesterday, while running at a track I frequent, I finally had the perfect opportunity to say “thank you,” to the man who is always there walking but also feeding the beautiful stray cats who live there. He comes on his bicycle, parks it and starts walking the trail, filling bowls he has placed in designated spots at the back of the park. On many occasions I have witness how happy the cats are as they come running out to eat and drink fresh water. It always impresses me how well they share with one another, a lesson we humans can stand to learn. He has been doing this for 7 years and recently found one baby kitten there, which he decided to take in as his own. Sounds like it was a win-win for the man and the kitty! One thing I have observed through my 35 years in the fitness industry is that people that take care of their own health by working out, also tend to care more about the well-being of others. My students are the most giving, kind, unselfish people and it is a gift to watch them interact with one another. “If I am not for myself, who will be for me? But if I am only for myself, who am I? As you make your way through this (Vegan Feast) Thursday, please consider a plant-based meal (or 3) and remember that the animals have all the same needs as the humans. Maybe more. They, after-all, cannot speak for themselves. Lessons Learned From a Cat………. We aim to do our sitting session at about 7:30am and it’s amazing how Roxy starts to talk to us (a lot!) right around then. She is absolutely ready and heads right off to the room we meditate in. The SECOND we hit play on the tablet, she is in her zone. When Oprah stops talking and Deepak begins, she starts to wag her tail a few times and then goes way deeper into the zone, usually ending up in savasana for the duration of the time. When the 20 minutes comes to an end, she remains calm and begins to give herself a little bath. Spirit and body clean, she heads out to the patio for her morning dose of sunshine and exercise. It’s truly amazing to witness and is more affirmation of how important it is for all of us to take time out of busy days to at least try to block out all the chatter in our heads. Taking the time to be present helps us to better learn to appreciate and be grateful for the here and now, for in reality, that is all we have. Posted on July 17, 2015 July 17, 2015 Categories animals, Meditation2 Comments on Lessons Learned From a Cat………. Good morning and happy fall!!! Our cat, Roxburry, took that quite literally when she decided, first thing this morning, to take a …fall…into our swimming pool. Cats are amazing and they really do have 9 lives. This isn’t her first trip in the pool (only when something scares her and she isn’t expecting it, has this happened, which I am sure is what happened at 5:45 this morning!) She once ate some wires and the electricity went right through her body. She tore her collar with her ID off in an instant as it must have been burning hot. She survived that one and who knows what else?!?! Animals are amazing. If you watch those incredibly beautiful animal videos on the internet, it’s hard not to be impressed with their sensitivity and intelligence. Yesterday’s celebration for Charlotte and her regional Swanson Award presentation was just lovely. What a happy occasion! 95.5 and still pulling a crowd of over 60 people. More about this when time is more plentiful! For now I am off to train with a client. A little on the early side as we sadly have a funeral this morning. Mitch’s (our) Aunt Pearl was an amazing woman. I have so many fond memories of her feisty personality, starting with the very first day we met. She was wonderful to Mitch, Derek, Kyle and I and was a great friend not only to my mother-in-law, Esther, but also to my mom, Ruth. I hope they are all laughing together on the other side. Since we will be coming back to our house after the service, I will NOT be teaching at 11:30 today but Ellen WILL be there so go!!! I WILL be at both of my classes tonight. Enjoy your day. Be productive. Take Charlotte’s sage advice and exercise more…worry less!!! It sure works for her. If you are on Facebook you can find a few pics there. I will repost them here at peaceandfitness.com later in the week. HAPPY FALL. Enjoy the changing seasons. There is a purpose to them all! In Memory and in Honor………. As we spend time remembering all that were lost in the tragedies of 9/11 and give thanks to all of those that worked so diligently in the rescue attempts, let us not forget our canine heroes who did not chose their career paths. They were certainly amongst the unknown heroes. Let us remember it all, but let our remembering lead us to a place of compassion. Hard to believe it’s 13 years. Time is a crazy concept……..